These classes are designed to get mum back into shape after baby and take place in the sportshall at Parklands Country Club, Ayr Road, Newton Mearns. Classes will be on a Tuesday 10 – 11am. You can either pay £6 per session, £22 for 4 sessions or £40 for 8 sessions. 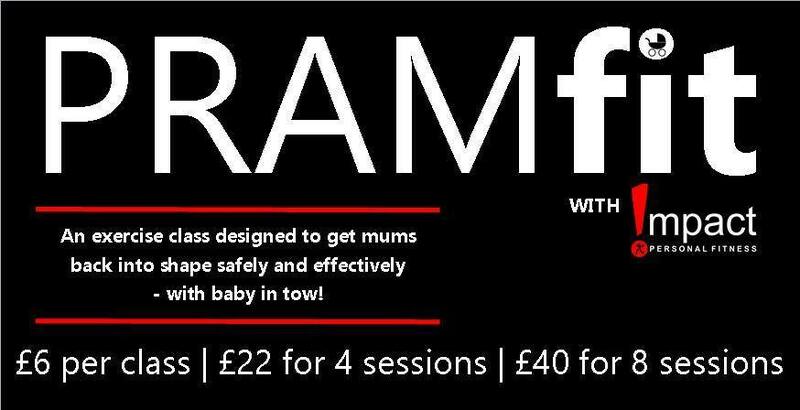 Email pramfit@impact-fitness.co.uk to book.